There are several chatting software’s are available for mobile devices, but people faced many problem with them. One of my readers asked me which is the best mobile software for communication and chatting and he wants to get all features in one software. So today I am sharing one of the popular and best chatting software with you. 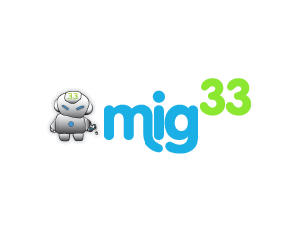 Mig33 is one of the great and feature loaded communication and chatting software for mobile device today. Mig33 provide popular messengers support like Windows Live Messenger, Yahoo Messenger, AOL Messenger, Google Talk etc. Not only messengers but also Mig33 support several social networking websites like Facebook, Twitter and inbuilt chatting features of mig33 chat world. Mig33 also provide several features for calling in cheap rate, send SMS to your friends in all over the world with free of cost and also they provide social networking platform for mig33 users to interact with each other. What more you want from one software? I think its one of the best chatting and communication software. Try it and you will be pleased by their services.